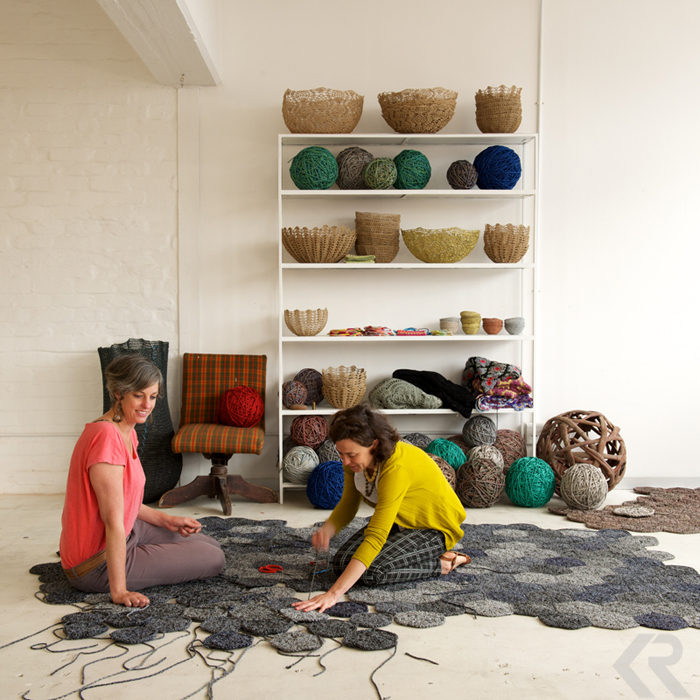 Artists Dani Le Roy (left) and Laura Summs (right) work on one of their signature crochet rugs in the studio of Moonbasket. They create pendant lights, stiffened bowls, jewelry, and motif carpets using crochet and they hire and empower women from the Khayalitsha township to produce the bulk of their materials. Last November while I was visiting Cape Town, I was given a short assignment by my friend and former colleague Carol Enquist to photograph the Woodstock neighborhood of Cape Town for National Geographic Traveler magazine. With Cape Town being named World Design Capital for 2014, it was the perfect time to explore Woodstock, a neighborhood filled with designers, artists, and innovation tucked at the foot of Devils Peak. I roamed the colorful streets and popped into old warehouses turned new, looking for subjects for my lens, falling more in love with this South African city by the minute. Along the way I was also lucky enough to get to meet up with the writer of the piece, the talented Sarah Khan who is now living in Cape Town. Go grab the April 2014 issue of National Geographic Traveler off of newsstands and stay tuned here for a blog post of some outtakes from the shoot. Then be prepared to want to book a one-way ticket to the Mother City. 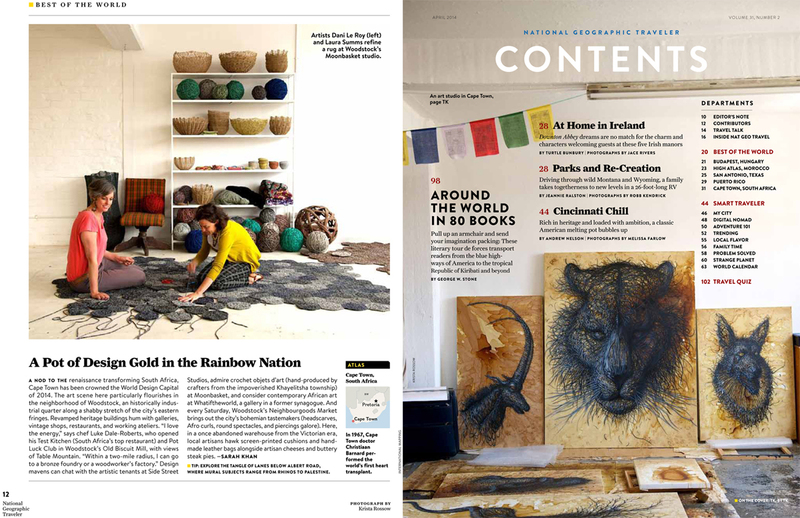 The article on Woodstock ran in National Geographic Traveler‘s Best of the World section and a photo from the artist DALeast‘s studio at Side Street Studios ran on the contents pages of the April 2014 issue.